He put the glass to his lips and drank at one gulp. A cry followed; he reeled, staggered, clutched at the table and held on, staring with injected eyes, gasping with open mouth; and as I looked there came, I thought, a change – he seemed to swell – his face became suddenly black and the features seemed to melt and alter—and the next moment, I had sprung to my feet and leaped back against the wall, my arm raised to shield me from that prodigy, my mind submerged in terror. 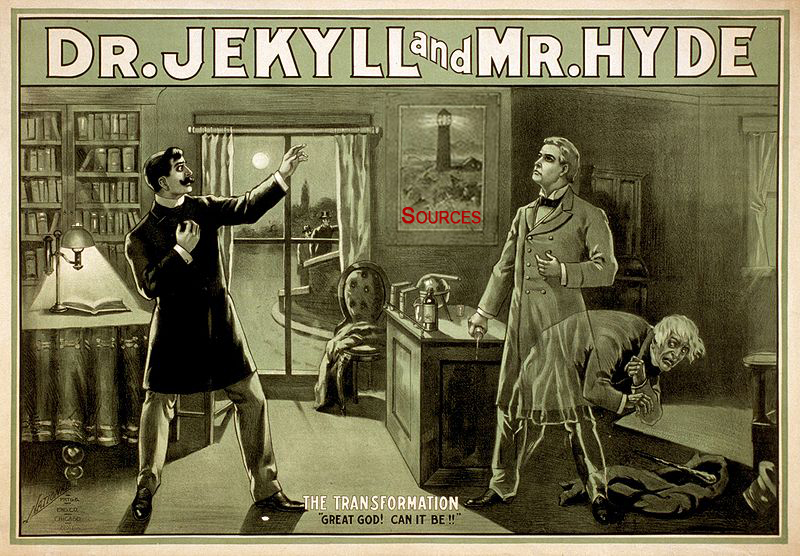 “O God!” I screamed, and “O God!” again and again; for there before my eyes – pale and shaken, and half-fainting, and groping before him with his hands, like a man restored from death – there stood Henry Jekyll! What he told me in the next hour, I can barely bring my mind to set on paper. I saw what I saw, I heard what I heard, I asked myself if I believe it. My life is shaken to its roots, sleep has left me, I am incredulous, and yet it is true. Use SOURCES to get your story out.